record and send personal videos to their clients. CarFilm reports real-time analytics from the video viewers actions, which helps you determine the clients interest level. CarFilm has a training series so your team can learn the best practices for showing and sharing cars through video. Your clients can sharing your videos which will be tracking along with all other data. 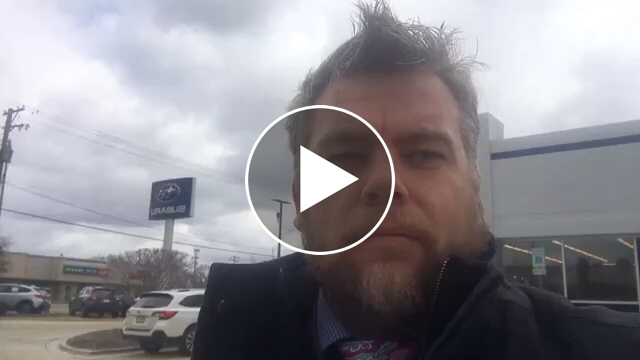 CarFilm makes it simple to send your videos through text, email, or your CRM with video thumbnails. anywhere from their desktop computer. 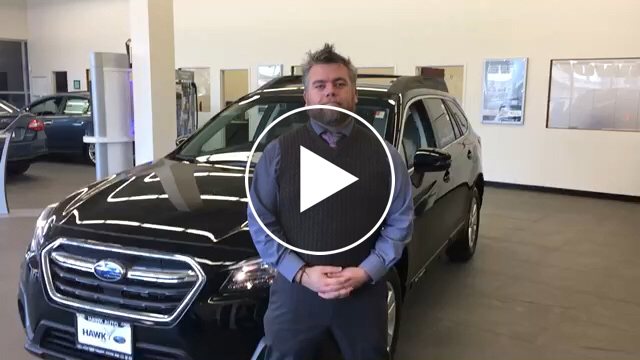 Display your video over any website on the internet, including your own dealership website. Displaying a video over a PDF is an easy way to explain contents of a document before or after a sale. Our web app has the same look and functionality as our mobile app which makes it easy to send and track your videos from anywhere. CarFilm gathers data from every viewer tracking watch time, views, website visits, time spent on website, and location of viewer. All this data is viewable by your team. Your team members contact info will be displayed under each video they send (as shown above). Additional click to call / email buttons are displayed after the video is watched. Videos can be minimized to the corner of the view page. This allows the viewer to look at the contents of the underlaid site or PDF while the video continues to play. Display your video over any PDF or website on the internet, including your own dealership website. managers to track the whole teams progress. View all the videos and data of your team members plus their full analytics report. View all the data from your entire team as a collective group. All the data collected for each individual video is gathered into one dashboard. Easily see all the latest videos posted by your team on the main page. 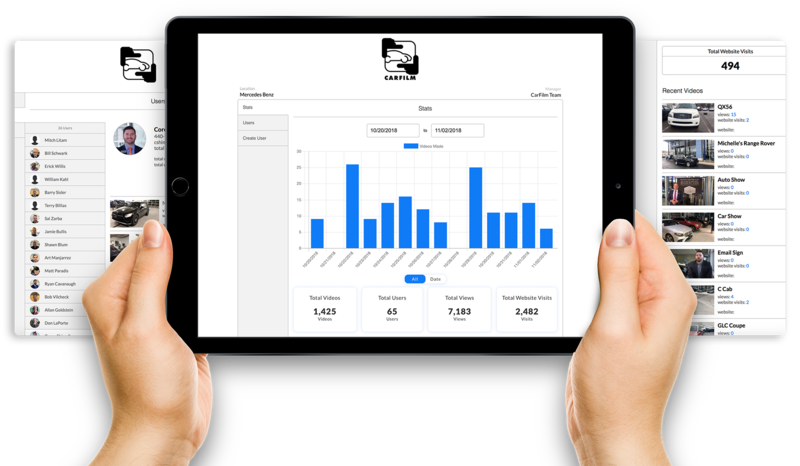 View all the data from your entire team as a collective group or as individuals. All the data collected for each individual video is gathered into one simple dashboard. Video messaging separates you from the pack! watched a video over those who did not. 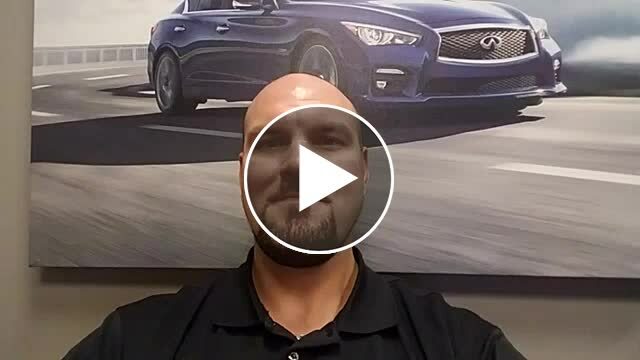 While immersed in the Automotive industry as eCommerce Director with the Bernie Moreno Companies, forward thinker Sean Weaver saw a need to improve upon the software and tools available using video messaging. Sean realized that in order to optimize this channel, it needed to a) remove existing barriers, b) provide a flexible way to deliver additional content, and c) track results in real time. 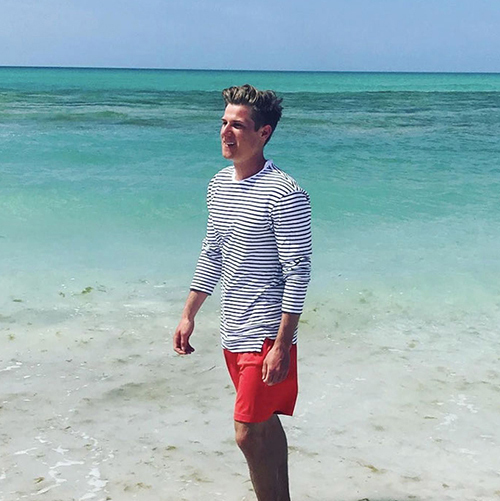 Coming from an entrepreneurial family, Sean collaborated with his cousin William Kahl, a seasoned developer/programmer/marketer, and BMC President Bernie Moreno to build the most proficient, user friendly software application that allowed their team to include relevant next step actionables. 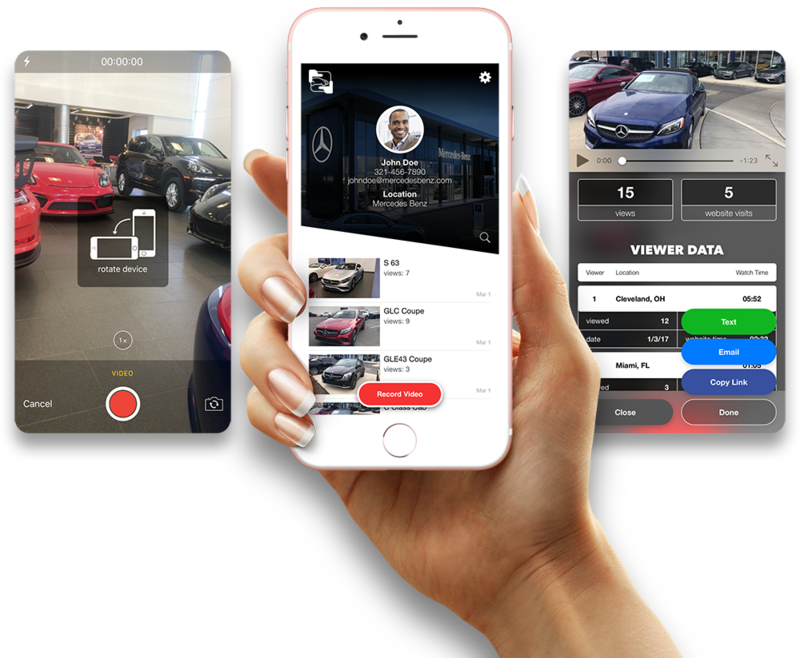 The CarFilm App was test driven within BMC dealerships and other select partners, enhanced based on user and customer experience feedback, until ready to present to the entire automotive industry in January 2018. In order to get CarFilm in front of as many folks as quickly as possible, Marni McClennan was brought in as Partner and Queen of Getting Sh*t Done. 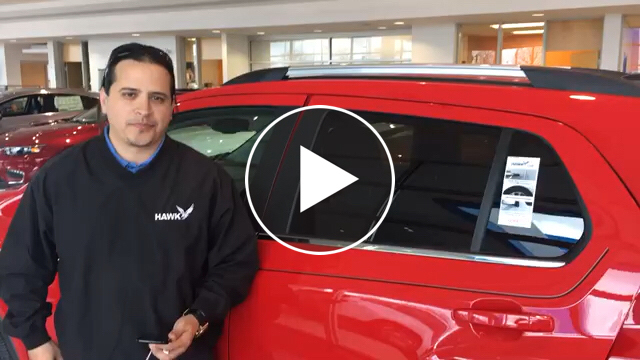 With 25 years of automotive experience on both the retail and vendor side, Marni has a network second to none. Video messaging is not a new communication channel; however it is all about the presentation. 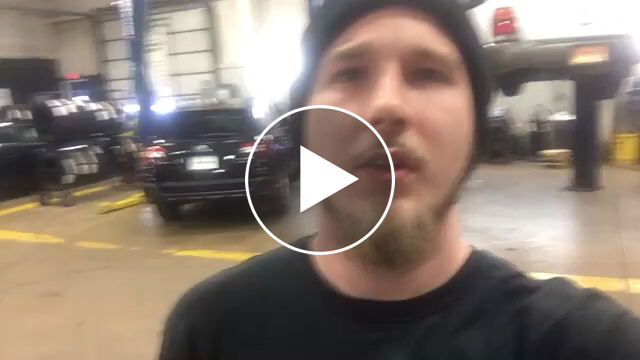 With CarFilm, your personalized message captivates your audience and delivers - within our unique underlay - the desired next steps of your process. We will contact you with in 24 hours. If you would like to speak sooner please call us (855) 227-3456. 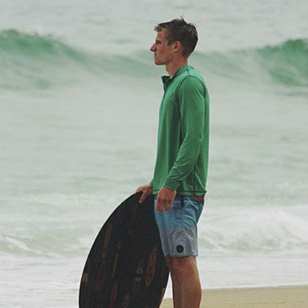 Grandson of Duck Tape Founder Jack Kahl, there was never a doubt Sean would inherit the entrepreneurial gene and spirit that runs through his family. Throughout his ongoing involvement with the family business in Cleveland, he eagerly absorbed all that he could with the intention of applying that knowledge towards his own business ventures someday. And that day could not come soon enough for him. Knowing Sean it comes as no surprise he did not feel challenged enough in high school. So, he elected to obtain his diploma via an accelerated path in order to launch not one but two internet startups! Later, he would go on to join the corporate team at Bernie Moreno Companies, serving as the Director of Business Development and working directly on new business ventures to increase the company’s growth and bottom line. For more than 25 years Marni McClennan has brought insight, innovative ideas and actionable programs to the Automotive Industry. If you’ve met her in person or even just over the phone you cannot help but be drawn in by her energy and enthusiasm for problem solving, and making it enjoyable while doing it. What makes Marni’s knowledge so well rounded is she has professionally lived on both sides of the aisle, working directly within a dealership as well as promoting products and programs as a vendor partner. From a personal perspective, being married to a generational car guy provides her those additional layers of insight and appreciation. Her tenure and involvement in the automotive realm gives her many unique advantages as she helps dealers navigate new programs and technologies, while staying true to the fundamentals for success. Her style and approach comes first from building a relationship, listening to truly understand a dealership’s needs and then working closely with them to develop solutions and see them through. Marni’s passion for her customers and the details shines through with every project. Her network is vast and deep and she is never shy about tapping into that to benefit a partner. At CarFilm, Marni brings a wealth of experience, knowledge and if we’re being upfront…a whole lot of fun!